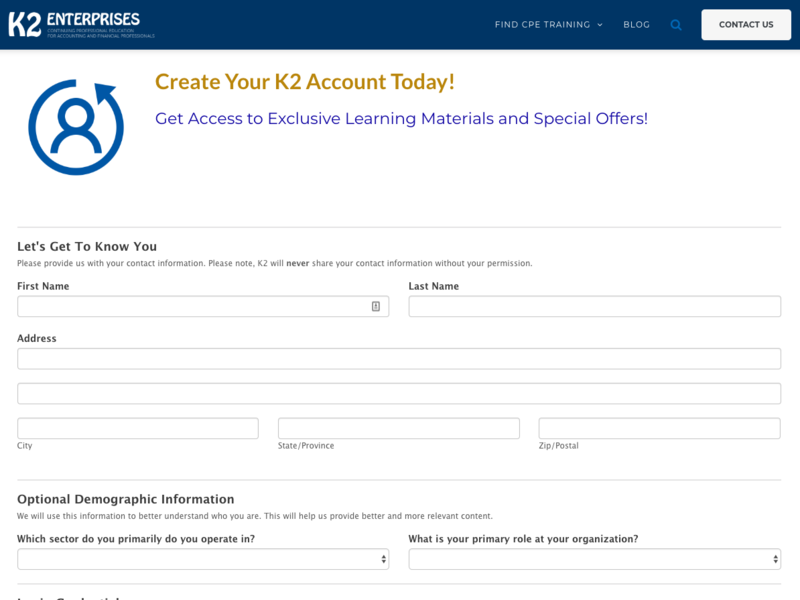 K2 Enterprises is a continuing education company based in Hammond, LA. 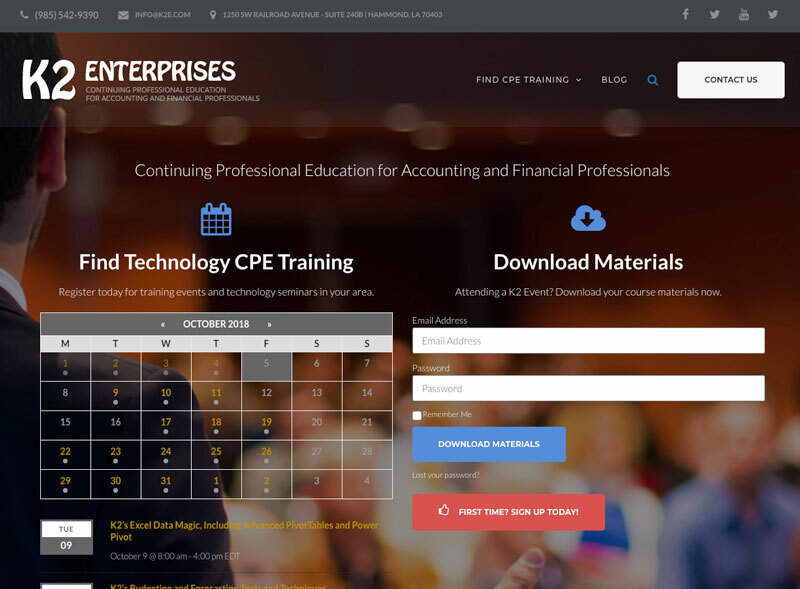 K2 has been providing top-quality continuing education to CPAs, bookkeepers and other financial professionals for over 20 years. They present over 1500 seminars per year in both live in-person and virtual events. They are consistently ranked as one of the top education providers for their market. This project was a complete redesign of their website from the ground up. It featured a new web infrastructure deployment in Amazon Web Services and a migration to a new content management system. It included a dynamic event calendaring system to showcase their many events, online registration system to download materials and a support ticket system to resolve customer issues. Complete redesign of the existing site and the development of new content. Their new system featured a custom website deployment in Amazon Web Services. Custom user registration system with custom profile fields. The system also featured account confirmation functionality, profile updates and mailing list integration. Custom event calendar functionality which would allow for the user to browse current and future events. The user can filter events by a variety of categories including location, event type, instructor, class type, and more. To reduce and better track customer issues we created a support ticket system. The system would allow the user to create a ticket if they encountered any issues. The ticket would then be dispatched to various K2 staff for follow up and resolution. 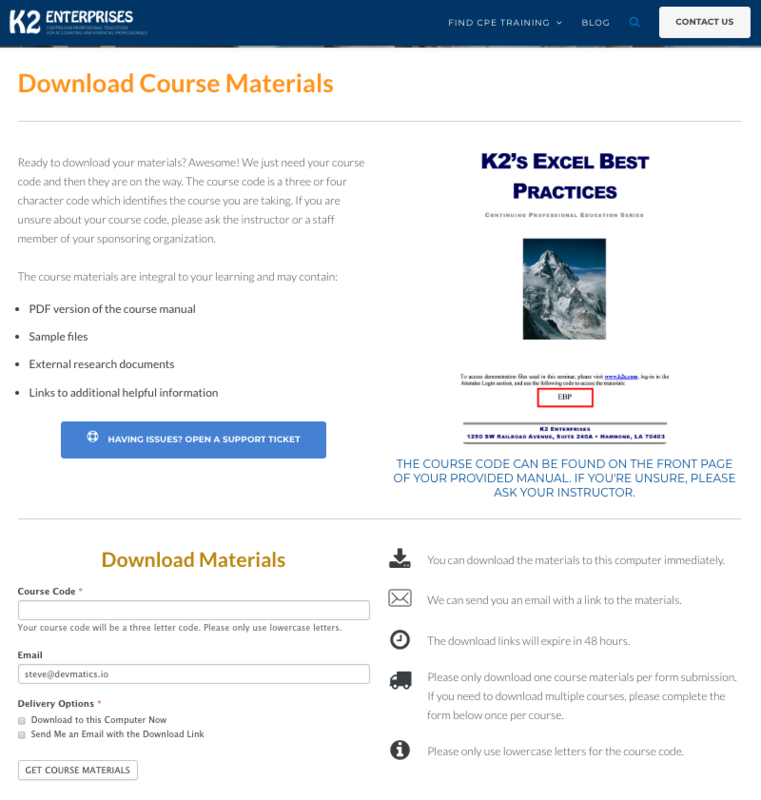 The project featured a custom materials download form which allowed their customer to securely download course materials. The system allows them to either download the materials directly to their computer or receive an email with a link to the materials. In either case, the link has special encoding to ensure the user can only access the materials for a limited amount of time and that the materials could not be easily shared with other users.